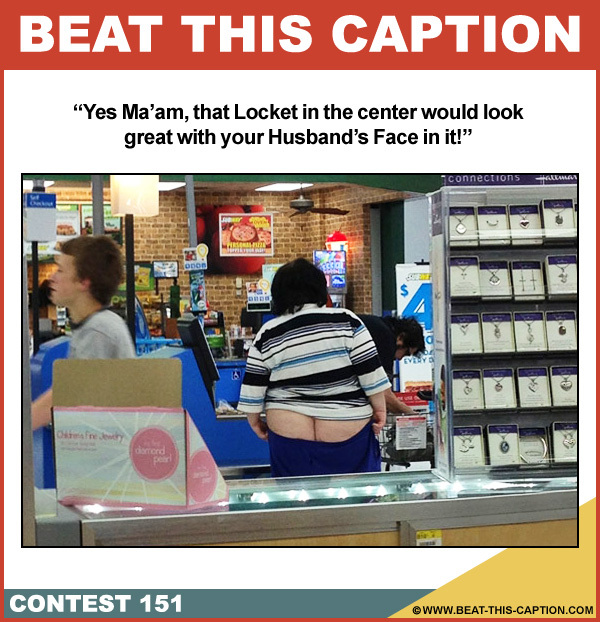 Beat This Caption Contest 151 – Caption Contest Funny Clever Witty Enter Today! Yes Ma’am, that Locket in the center would look great with your Husband’s Face in it! June 23rd – June 29th 2013.